A wide range of treatments and procedures are available at our aesthetic clinic, conveniently located at Megan Avenue 1, Jalan Ampang, Kuala Lumpur. Our clinic is open daily and you can make an appointment for a consultation for aesthetic treatments and therapies to address any concerns you might have about your look and appearance. You can also come to our clinic for treatment for general illness, minor injuries, dermatology, vaccination, and also medical consultations. 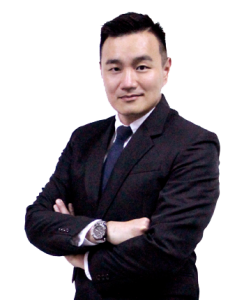 The resident doctor at Premier Clinic KL City is Dr. Nigel Ong, a medical professional who is highly experienced in weight lost management and CoolSculpting cryo lipolysis fat loss. He is also well trained in minor skin surgeries, treatment of pigmentation, facial rejuvenation and reshaping. A graduate of First Moscow State Medical University (with honours), Dr. Nigel also has a Diploma in Aesthetic Medicine from the American Academy of Aesthetic Medicine (AAAM), and is also a qualified Coolsculptor from Zeltic Coolsculpting University. He trained in the plastic surgery department of Hospital Ipoh and is an expert in a variety of minor skin surgeries. Premier Clinic KL City is located in Megan Avenue 1, which is formerly known as Megan Phileo Promenade. It is an office complex in the heart of KL city centre, in between Jalan Tun Razak and Jalan Ampang. It is very near to the iconic Petronas Twin Towers, and located next to Corus Hotel, Acadia Residensi, Hampshire Place, 2 Hampshire and Plaza OSK. Megan Avenue 1 is only a few kilometres away from the Ampang-Kuala Lumpur Elevated Highway (AKLEH), Kuala Lumpur-Putrajaya Highway and Mahameru Highway. You can reach it via Jalan Tun Razak and Jalan Ampang. If you prefer the convenience of the LRT, you’ll be happy to know that it is just a 5-minute walk from Ampang Park RapidKL LRT station. Opposite the clinic, there is a water fountain, and there is a 7-Eleven outlet and a mamak restaurant named Maju Cemerlang nearby. The covered carpark is safe as there is 24-hour security. Premier Clinic KL City branch is opened daily to the public. To schedule a consultation session with our professional aesthetic doctors and staff members, kindly call us at +6012-662 5552 or email us at contactus@premier-clinic.com. We offer FREE consultation.